SOCOFY is a widely known brand leather shoe for women that are trending globally in the current market. It has received a lot of positive compliments due to its amazing quality and the satisfaction it provides. SOCOFY is ranked as a professionally designed “women leather shoes” across the world. It is made and sold globally by Banggood, the best online seller in China. Fashion and comfy characterizes the high quality of the SOCOFY brand. The soft leather of the SOCOFY shoes gives an interestingly comfortable feeling and environment for women wearing them. The SOCOFY brand has been designed behind the concept of introducing a fashionable style and comfortableness for women while at the same time freeing their legs from the harsh high-heeled shoes. The flower leather shoes, Suede Leather Boots, and leather Peep Toe Slippers are the few trendy brands of SOCOFY shoes. 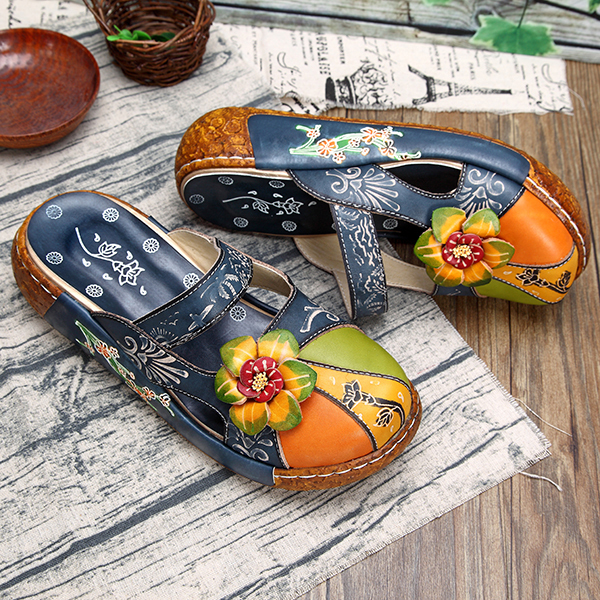 SOCOFY vintage colorful leather hollow out backless flower shoes is an example of the flower leather shoes available in the global market. 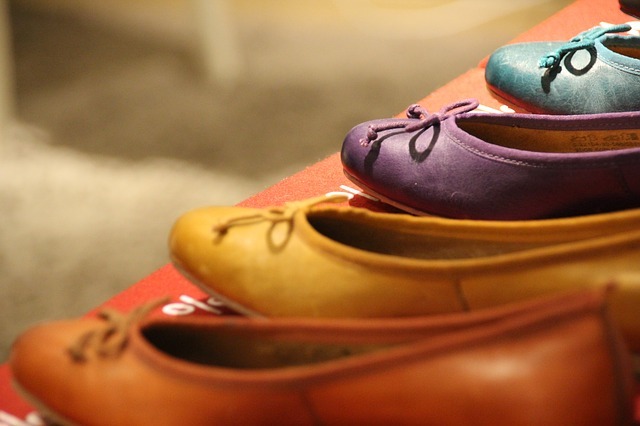 It is a flats and slippers shoe type worn during Spring, Summer and Autumn seasons. The brand is a casual wear with a rounded toe and a slip-on closure type. It has a heel height of 5cm, a platform height of 3cm and comes with a variety of colors such as grey, red, green and blue. It is designed to give a nice comfort with ultimate cuteness. The SOCOFY vintage suede color match mid heel leather boots are the perfect Suede Leather Boots with an attractive position in the online market. They are made of genuine leather material and rubber for out-sole material. They are boots with a rounded toe, a zipper closure type, a mid-heel heel type and 4.5cm heel height. This brand is worn casually and suitable for holiday seasons such as Spring and Autumn. It comes with a series of colors; green, black and grey. They are fitting with an awesome comfy. The SOCOFY bowknot leather hollow out vintage peep toe slippers are a leather Peep Toe Slippers made of top layer leather upper material and a rubber out-sole material. 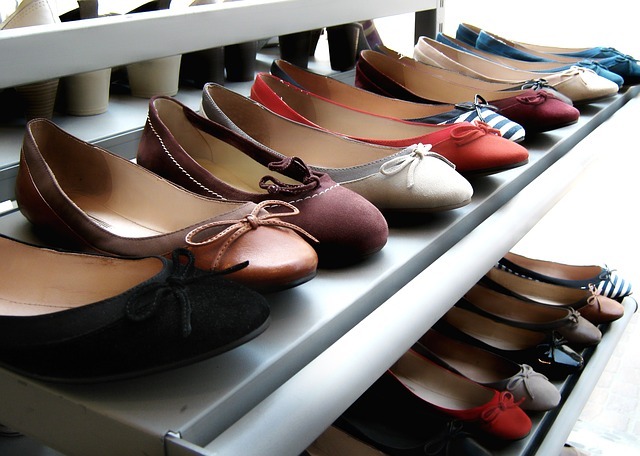 They are flats casually worn in Spring, Summer and Autumn seasons. They are a rounded toe with a slip-on closure type, 2cm heel height, 2cm platform height and a color variety such as red, back and grey. This type of shoes is fashionable and synonymous with women who love comfort and taste. The products mentioned above are only the tip of the iceberg of SOCOFY. But seeing them, you will have a basic knowledge of this brand. Comfortableness, high quality and fashion and vintage style are always what SOCOFY pursue. They provide the ultimate satisfaction to all the necessary factors that women consider while choosing a comfortable shoe type. If you show an interest as strong as we do for this brand, you can know more about it online.